This website discusses the realistic prospects of making biblical finds. Rome conquered Jerusalem in 70 AD. 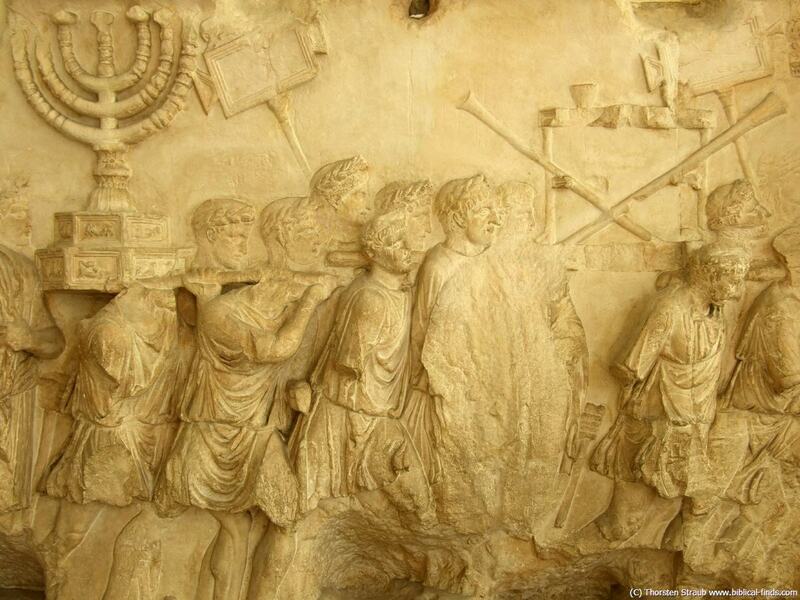 During the following triumph march Roman soldiers carried the most holy objects from the temple through the streets of Rome. These were the menora and the table of showbread. Scene from a replica of the Titus arch, Rome. The Titus arch in Rome is a credible, non-biblical source confirming the existance of holy objects from the old testament. 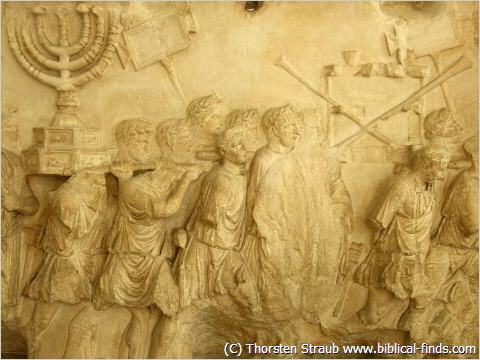 It shows the » menora (seven-branched candelabrum symbolizing the seven tribes of Israel) and the » table of showbread. Since these two holy items existed it appears likely that the third main biblical treasure, the » ark of the covenant, existed also.